The original Spiral Island was (as its successor will be) built upon a floating collection used plastic bottles, all netted together to support a bamboo and plywood structure above. 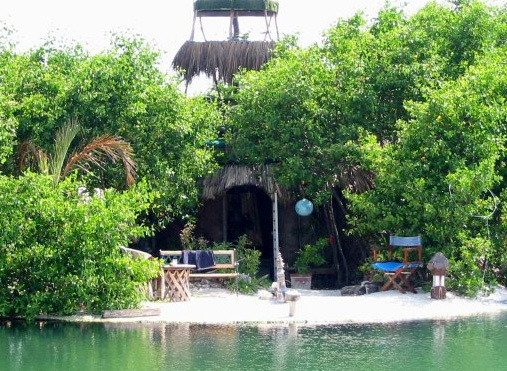 Located in Mexico, the original was 66 by 54 feet and was able to support full-sized mangroves to provide shade and privacy, yet also able to be moved from place to place by its creator as need with a simple motorized system. An environmentalist to the core, Sowa is also an artist and a musician. More than just the universal dream of an island retreat, Spiral Island is also his vision for low-impact sustainable living. The next version of the island will be built to withstand more treacherous weather than the first and will also be located in a more sheltered part of Mexico's waters. Spiral island is able to exist and move about in Mexico in part because it is classified as a ship, not an island, like an atoll out of WaterWorld (only much much cooler). 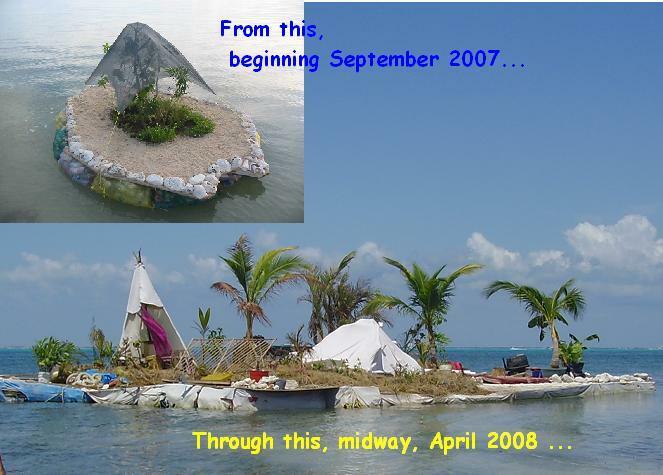 On September 7, 2007 the new Spiral Islander social network utility was opened to the public to allow visitors, Spiral Islanders and friends of Richie Sowa to connect and communicate about the history of Spiral Island and to learn more and discuss Richie Sowa's new Spiral Island.